Do you dread washing your hair because you know what will inevitably come next? Well, don’t get all hot and bothered anymore! 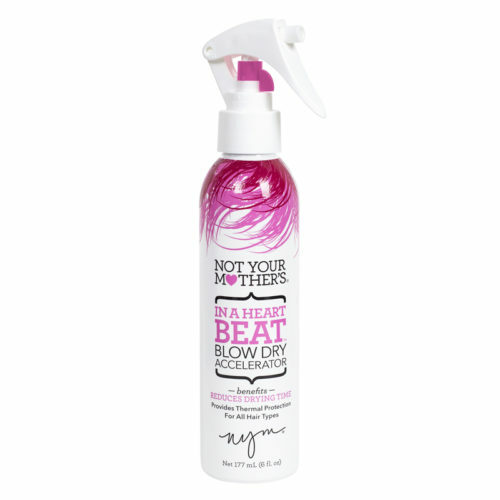 In a Heart Beat will reduce your blow drying time so you don’t feel like you need to take another shower after doing your hair! This paraben free salon formula will detangle and soften, help to eliminate frizz, improve humidity resistance and provide thermal protection to the hair… so you and your hair won’t miss a beat! 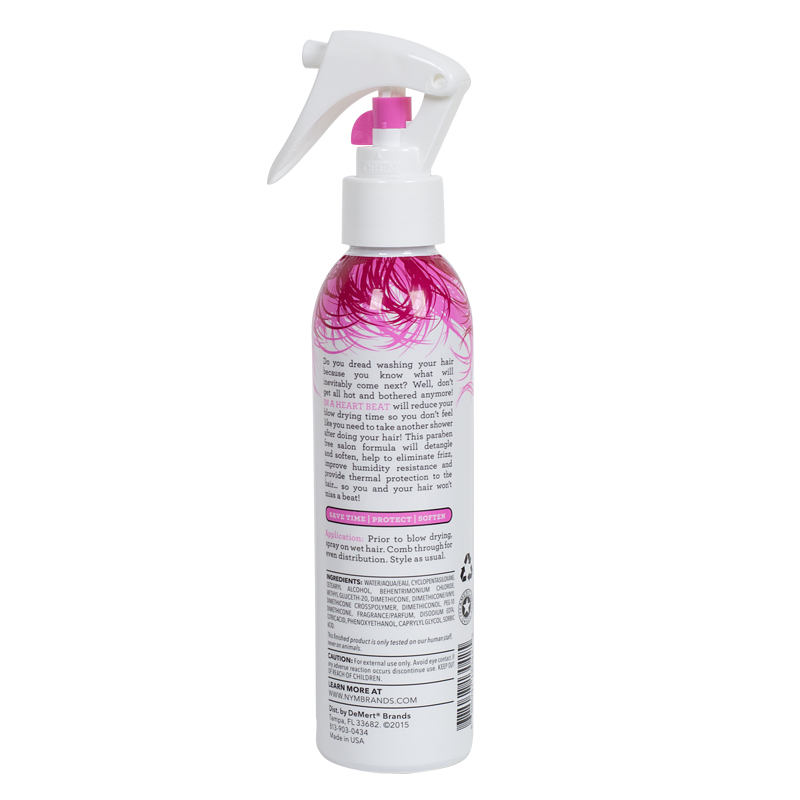 Application: Prior to blow drying, spray on wet hair. Comb through for even distribution. Stye as usual.